Christian music is beloved by many. Its uplifting, powerful lyrics provide inspiration to millions around the world. Today, Christian music is more popular than ever thanks to the musical gifts of many talented people. The band MercyMe debuted in Greenville, Texas in 2001. The Grammy nominated Christian rock band received notoriety when their single I Can Only Imagine earned crossover status. From that point on, MercyMe's star continued to rise. A Crosswalk.com review says MercyMe is "one of Christian music's true heavyweights." The video for MercyMe's single Shake, released in early 2014, gained over 200,000 views on YouTube in less than a week. Casting Crowns was started in Georgia by lead singer/songwriter and former youth leader Mark Hall. 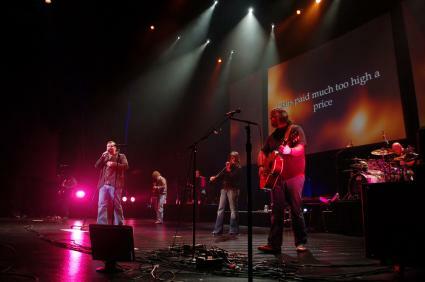 Their first album, Casting Crowns, was released in 2003 and the band experienced almost overnight success. In 2006, their Lifesong album won a Grammy for Best Pop/Contemporary Gospel Album. 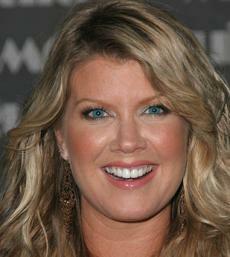 The group won the Dove awards for Group of the Year from 2005 - 2009 and Artist of the Year in 2010. But unlike many groups whose popularity fizzles out after a few years, Casting Crowns was just getting started. The band continues to top the charts and be nominated for some of the most prestigious awards in the country including the Billboard Music Award. In 2013, their album Come to the Well, was nominated for Best Contemporary Christian Album and their single Jesus, Friend of Sinners was nominated for Best Gospel/Contemporary Christian Music Performance. Belinda Ayers says in a music review on CBN.com, "This is a band to watch as God continues to use them in the years ahead." Casting Crowns released their album Thrive in January 2014. Mandisa burst onto the music scene when she placed ninth on American Idol in 2006. Her first album, True Beauty, was released in 2007 and gained a a Grammy nomination for Best Pop/Contemporary Gospel Album. While Mandisa has enjoyed success of varying degrees since, 2013 was an especially impressive and exciting year. Her fourth album, Overcomer, immediately rose up the Billboard charts and its title track rose to number one on the Billboard Christian Top 20 chart. Even better, Mandisa won a Best Contemporary Christian Music Album Grammy for Overcomer in January 2014. A review on Focus on the Family's pluggedin.com praised Overcomer, stating Mandisa "has become a steady and praise-worthy presence in the Christian music world." Early in his music career, Chris August helped produce mainstream music albums for artists like Jessica Simpson and Brian McKnight. It was his decision to focus solely on singing Christian music that launched his solo career. His 2010 album, No Far Away, soared up the Christian music charts. 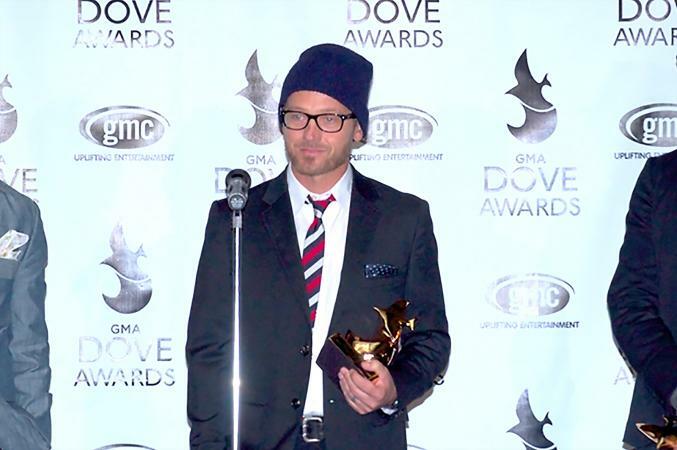 Chris was nominated for five Dove awards in 2011 and won three, including Male Vocalist of the Year. Music critics and fans alike are praising Chris' latest album, The Upside of Down, for its uplifting and meaningful lyrics and catchy pop sounds. Third Day's powerful rock and roll sound has made them a favorite of Christian music fans for over two decades. The band started in Marietta, Georgia and was inducted into the Georgia Music Hall of Fame in 2009. Several of Third Day's albums have hit Platinum status, including the compilation albums that include their hit singles Chronology Volume 1 and Chronology Volume 2. 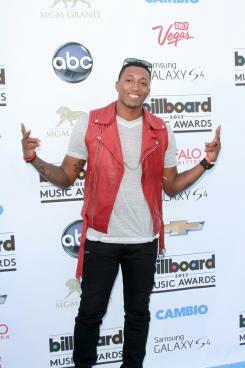 Lecrae's mixtape, Church Clothes Vol. 2, was released in November 2013 and is available for MP3 download. This all female trio (once a quartet) has been entertaining Christian country music fans for over two decades and is still going strong. Point of Grace originated in Arkansas in the early 1990s as a quartet but later became a trio when one member decided to quit the band to spend more time with her family. The band has recorded 12 albums which produced 27 number one songs, won 13 Dove Awards, and earned two Grammy nominations. Their album A Thousand Little Things earned the band a Dove Award nomination for Country Album of the Year. A musician with staying power, singer-songwriter Steven Curtis Chapman has more than earned a place on any top Christian music artists list. According to his website, he's the top awarded Christian music artist in history. A Billboard interview with the artist speaks of Chapman's success and his determination to keep producing music despite terrible tragedy in his life. Chapman's 18th album, The Glorious Unfolding, was released in 2013. Grammy nominated and five time Female Vocalist of the Year Dove Award winner Natalie Grant strikes a chord with Christian music fans thanks to her honest lyrics and pop music sounds. A native of Washington, she released her first album in 2003 and continues to impress. Both her 2008 album Relentless and her 2010 album Love Revolution made it to #2 on Billboard's Top Christian Albums chart. Grant's single, Hurricane received two 2014 Grammy nominations, one for Best Christian Music Song and the other for Best Gospel/Contemporary Christian Music Performance. Grant's Dare To Be Event Tour brings women of all ages together to be empowered to embrace their dreams and help make a difference in their lives and local communities. Life is hard and people often turn to music to find comfort and renew their faith. However, throughout the years, many people associated Christian music with one-dimensional hymns sung to organ music or boring, outdated music styles. Today's Christian artists are offering inspirational lyrics with a rock, hip hop or country sound. No matter what type of music you enjoy, if you like Christian tunes you're sure to find an artist you love.